The selection of polyurethane screen mesh should first be based on the purpose of the screen to determine whether the screen is used for classification or dehydration. The raw materials of the screen used for wet and dry screening are different. The screen with water should be polyurethane screen of polyether type to prevent the short life of the screen due to hydrolysis.Polyester polyurethane screen mesh should be used for dry screening and screening of bulk materials, which has good wear resistance and impact resistance and can effectively improve the life of the screen. Then according to the mesh size screen mesh size to choose the installation structure of the form, for the large hole (more than 60 mm aperture recommended screen recommend the use of the fixed structure of bolt type, because of the large aperture sieve processing materials is large, large impact on the sieve surface, and other forms of screen fixed structure easy to loose, loose screen mesh and the support beam hitting each other, after lead to screen life cut short. Unreasonable use of polyurethane screen mesh on the life of the impact.For example, in the process of using the tensioning type screen, it is easy to be smashed loose by large blocks of materials, so the tension bolts need to be screwed regularly. If the tension bolts are loose and not tightened for a long time, it will lead to the knock between the screen and the support bars, which will affect the life of the screen. At the same time, there is also the design of the feeding port. 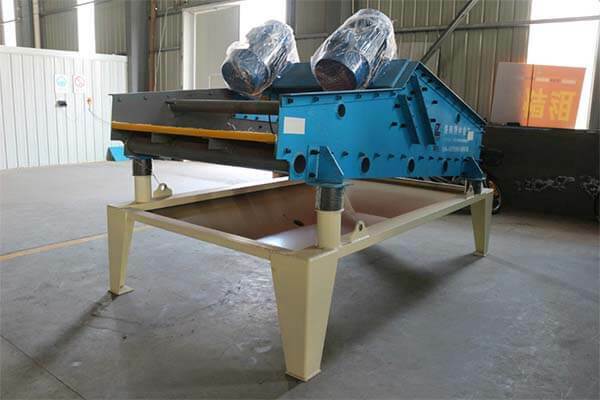 It is suggested that the feeding method should not be vertical screen surface, and the feeding direction should be inclined along the logistics direction, and the feeding height should not exceed 400mm to prevent the impact force from breaking the screen mesh. After selecting the right polyurethane screen mesh, reasonable use is required to ensure that the performance of polyurethane screen plays a big role and the service life is long. However, many users tend to ignore this point in the process of using polyurethane screen. we hope these will be helpful to you in the use of polyurethane screen.